One of my favorite things to do as the editor of The Citizen is to announce great news about our staff's accomplishments, and in the past week, I've had the treat of sending out congratulatory emails three times. Now I get to keep the fun going by sharing the news with all of our readers. Let me start with a huge honor for Kevin Rivoli, our photojournalist. You may recall reading about Kevin recently after he was named the National Press Photographers Association Photographer of the Year in the New York/International Region for 2018. This marked the second straight year Kevin earned this award. Not long after learning the news of his repeat in that competition, we heard that Kevin was chosen as one of five winners in an international contest run via Instagram by Lens Magazine. Kevin's portrait of local triplets who are star athletes in Weedsport was selected in the contest's Unity & Division category. He will be featured in the magazine's April edition, and his work will be exhibited at the FirstAmendmentVoice Annual Symposium at the U.S. Constitutional Center in Philadelphia in September. A day or two after hearing Kevin's news, we found out about a huge honor for Robert Harding, our online producer and New York politics reporter. Many readers of The Citizen probably followed the career of Auburn native Bill Carey, the longtime central New York broadcast journalist who covered the region with excellence for decades before passing away in 2015. Bill was working for what was then called Time Warner Cable News when he died from lung cancer, but his illustrious career started in 1971 when he joined radio station WMBO in Auburn. Shortly after his passing, the Syracuse Press Club established a Bill Carey Journalist of the Year award. And for the first time, the winner of that award is a member of The Citizen's newsroom. Robert Harding received the news about this honor last week. This award is given to one journalist in a 21-county region and includes all news media platforms. It's a prestigious honor, and it's one that's especially meaningful to Robert. Shortly after he joined us about a decade ago and began covering political events in the region, one of the first people in regional media who made a big impact on Robert was Bill Carey. Both men shared a passion for journalism and they loved following politics, and I'm sure the Auburn connection helped them form a bond, as well. When Bill passed away, Robert wrote a moving tribute. "There will never be another Bill Carey. He was a kid from Auburn who grew up to become the best journalist in central New York. He won numerous awards and would travel the world if it meant getting a story that mattered to this region. He had four decades of experience, but treated this young reporter with nothing but respect. ... Thank you, Bill. You were a great role model for me and many others." It's so inspiring to see Robert receive this recognition in honor of Bill. In addition to those honors, both Kevin and Robert were among the finalists in specific categories in the Syracuse Press Club's yearly contest. Robert's work as the leader of our online efforts, along with the rest of the newsroom staff, is being recognized in the best news website category. Kevin is an honoree for spot news photo and scenic photo. Joining them as a finalist is staff reporter Megan Ehrhart for investigative reporting. We'll learn about who won first, second and third in these categories at an SPC banquet later this month. 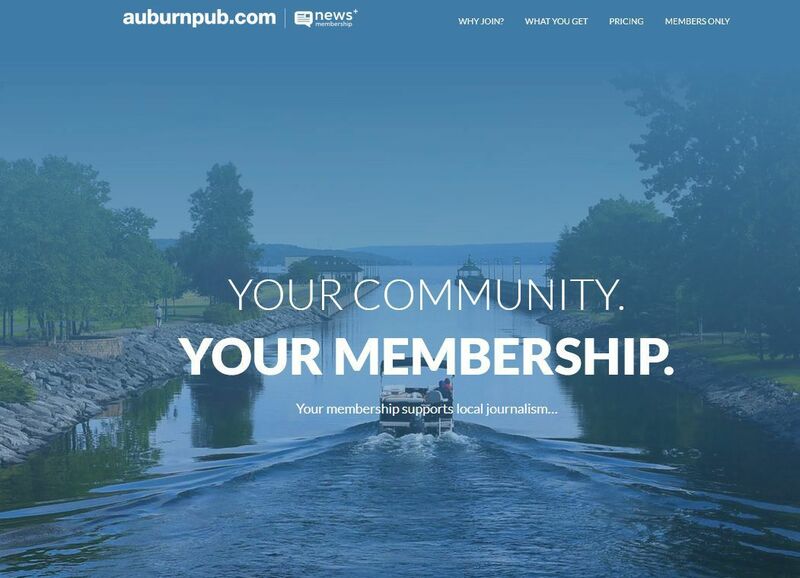 In the past two weeks, we've received three different letters to the editor expressing an appreciation for journalism that readers have seen in The Citizen and at auburnpub.com. When you hear the term "open meetings law," there's a good chance your first thoughts are about rights to physically attend government body meetings. I usually use this column to try to illuminate how things work in our newsroom and hopefully convey to readers that they are blessed to have so many dedicated, talented and passionate journalists covering their community. As the editor overseeing that department at The Citizen, these are the people and operation I know best. In last week's column, I wrote about the importance of seeking out traditional journalism to get informed about issues, rather than relying on pundits and social media commentary. Journalists' job is to gather all the facts through researching documents and conducting interviews, and then provide an impartial account of that information, included with relevant background and context. A celebrity reports being the victim of a crime, an allegation that many national news media outlets quickly disseminate to their massive audiences. Soon other celebrities around the world and politicians are making statements about the alleged crime and in support of the celebrity. Pundits are talking about what the crime means in the larger context of the place where it was alleged to have occurred. Everyone is talking about it on their social media platforms.